It’s predicted that AI bots will power 85% of customer service interactions by 2020 and will drive up to $33 trillion of annual economic growth. Another survey by Salesforce indicated that 51% of marketers are already using AI, and 27% more are even planning on incorporating this technology in 2019. The way brands and customers interact has already evolved dramatically over the past few years; that today, even phoning up a bank with a simple customer query seems a little archaic. Because customers are increasingly opting for more accessible methods of communication like the chatbot, built-in messaging platforms and even WhatsApp, Facebook Messenger, and Slack. Because, let’s get real, no one likes to wait for a response on the phone. What’s more, the conversation tone has changed from formal and professional to friendly chats that resemble the kind you might have with a friend. AI marketing solutions can identify insightful concepts and themes across huge data sets, accurately and at an incredibly fast pace. They also interpret emotion and communication like a human, so they are able to understand open form content like social media, natural language, and email responses. Improve content delivery: With AI, you can take data and targeting to a whole new level. Audience analytics can go past the typical demographics level and can now help you understand people on an individual basis. Now, marketers can use AI to identify potential clients, and deliver the ideal content that’s most relevant to them. Moreover, AI writing programs can already draft reports and news based on data and information. Even though AI still can’t write its own political opinion, or say… write on how to handle heartbreak and such, there are certain areas where content created by AI can be useful and help you attract visitors to your website. It can help you save lots of time and resources too. Intelligent tools like Wordsmith, Articoolo, Contentop, WordAi, and Quill are already in use by the Associated Press and Forbes to create news items. By using templates and fill-in-the-blanks to enter data and keywords, these tools can create unique content that gives the impression a human wrote it. You’ve also probably read content that was generated by AI since the BBC, CBS, the New York Times and Reuters all implement this technology. In fact, scores of articles in the Washington Post are already credited with artificial intelligence technology, Heliograf. Gain a deeper understanding of your consumers: With AI solutions, marketers know exactly what consumers are thinking, saying, and feeling about the brand in real time. With the storm of social media — and AI to analyse it — marketers can truly understand what customers are feeling. Savvy marketers can then harness this data in real-time and can accordingly modify messaging or branding for maximum effectiveness. Refine outreach: Not only can AI be used to unearth once-hidden insights, it can be actually taught to incorporate previously uncovered insights into new campaigns — thereby optimising outreach to target only the most relevant users. Tools like A/B tests take time and can have a certain margin of error. So, AI becomes your best tool in personalising content for each subscriber. Wouldn’t it make your life so much easier if you could launch the main metrics of your digital marketing campaigns? Create detailed consumer profiles: This abundance of data can also help build consumer profiles. 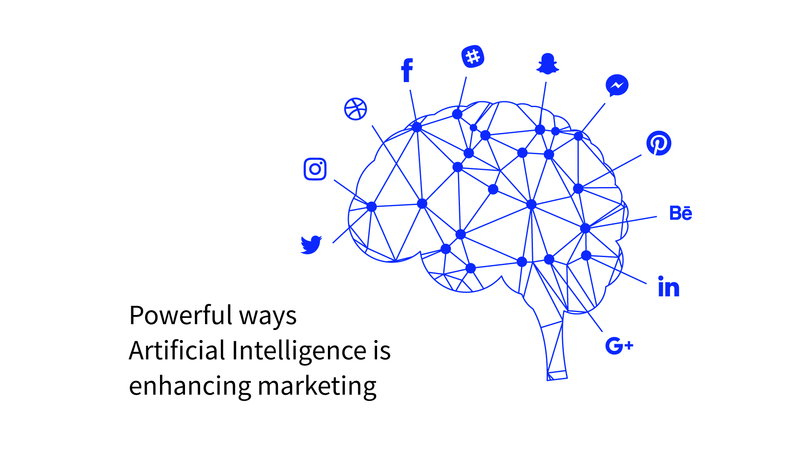 AI solutions provide marketers with deeper knowledge of consumers and prospective clients, enabling them to deliver the right message — to the right person, at the right time. It can tap into consumer data hidden in keyword searches, social profiles, and other online data, for smarter and more effective digital ads. The results are: human-level outcomes and insights, without the manual human labour. What are Chatbots really doing for your Customer Service? Customer service is the bread for every business. The simple truth is that without satisfied customers, you’ll soon be out of business. But — as we have mentioned before — successful customer engagement can be challenging as the manner in which customers communicate with brands has changed so exponentially. Let’s have a look at how AI marketing revolutionises, for instance, the travel industry. Artificial intelligence (AI) now permeates every element of the travel process. Today, website chatbots, personalised search platforms etc. are deployed to improve customer engagement, boost conversion rates, and to personalise the entire guest experience. 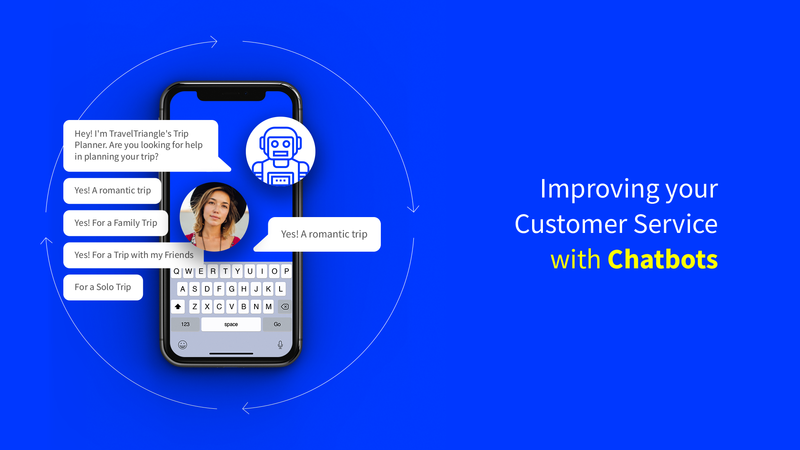 Travel companies are seeing real value in leveraging chatbots to create always-on, personalised concierge-level service. So, AI-powered trip planning offers the ultimate way to inspire customers and keep them engaged on their websites for longer, increasing the success rate of converting visitors. With customers demanding a more personalised, tailored experience, AI has that potential to help marketers personalise the customer experience to an entirely new level — allowing for one-on-one conversations with marketers who know the pain points, understand the goals and ambitions of their prospects, making more accurate predictive analyses, and saving time on finding and converting leads. At any given time, artificial intelligence can be used to improve personalisation, tailor recommendations and guaranteeing fast-response times. In addition, artificial intelligence algorithms can sift through millions of potential combinations and serve up a personalised day-by-day itinerary for the entire trip. Yes, all this in the absence of a human operator! Today, if your brand can’t provide the experience your customers are craving, you’ll simply come up short. Your prospects will easily find another outlet, engine, company, airline, hotel, or agency that can. So it’s only with artificial intelligence marketing can you bridge this gap between meaningless mass communications (one-size-fits-all emails and static itineraries) to personalised interactions. The competition is such that today, it is essential you use AI to notify travellers of itinerary changes, deliver live information like local weather updates to their phones, live currency exchange, and offer relevant recommendations for nearby attractions or hotels. And unlike traditional automated messages, this content has to adapt to real-time and location to provide the most up-to-date and relevant information to the traveller in order to cater to the personalisation they crave during the travel experience. Over the next few years, the need to strive for personalisation will likely see marketing tools to rely even more heavily on artificial intelligence and machine learning technologies. In pretty much the same way that Netflix bases its recommendations on what other people with similar tastes have enjoyed, the next generation of marketing tools will use AI and machine learning to make communications with consumers more relevant than ever. Ultimately, artificial intelligence have the potential to disrupt almost any industry that stores data. And in this day and age, won’t you be hard-pressed to name an industry that doesn’t? With that comes a dilemma that humanity will need to address: If all of this data is in the hands of artificial intelligence, what happens if that AI makes a bad decision? Regardless of these questions (and their lack of answers), AI can no longer be ignored. Because the potential benefits far outweigh any negatives to the point we may not have much choice in the matter. The only question now is whether you’ll move with the times or risk losing what you have built. Product development stories by designers and product managers at TravelTriangle- the largest growing holiday marketplace in India.